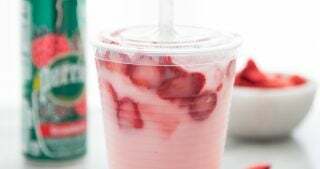 There are a few flavors I’ll never say no to, parts of my taste buds I’ll always want to light up like the Fourth of July. You remember those diagrams from grade school, right? Sweet, salty, sour, bitter… that’s what they say, at least. But for me? I’m pretty sure there are three extra facets to food that my tastebuds set out to deliver. And if you’re a spicy food or garlic lover, I’d imagine you feel the same. You’re the one that always opts for the spicy barbecue sauce at the rib joint. 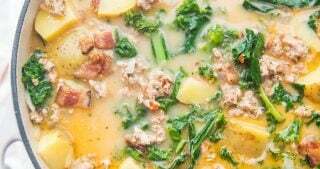 The one who winces in simultaneous pain and pleasure when you request “Thai hot” at the local noodle shop, the one who always just assumes the garlic measurement in every single recipe deserves to be doubled. So when learning how to make harissa came to the mainstream, I immediately fell head over heels. 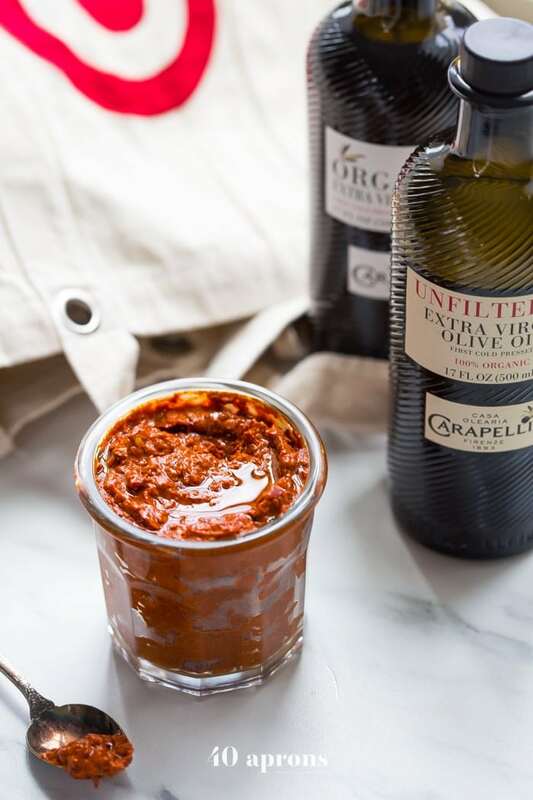 Smoky and spicy dried chiles, plenty of fresh garlic, rich Carapelli® olive oil? I’m in love. What is Harissa and what spices are in it? 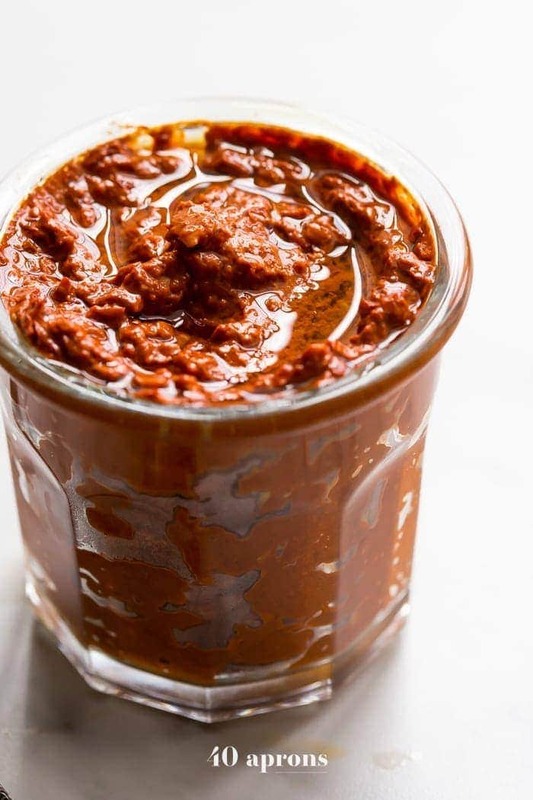 Harissa is a Maghrebi Hot Chili Pepper Paste that’s widely used in Tunisian, Syrian, Lybian and Moroccan cuisine. 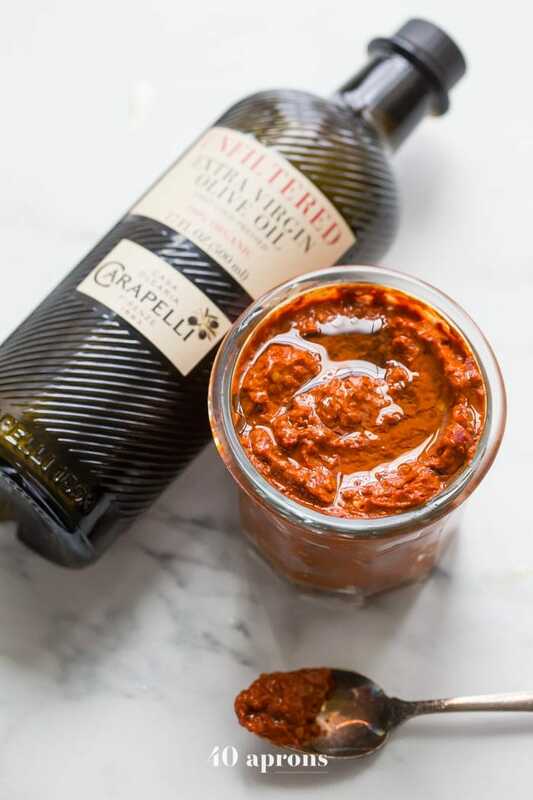 It is a divine combination of softened smoky dried chiles, fresh garlic (and plenty of it! ), a freshly roasted red pepper, coriander, caraway seeds, cumin, and a peppery, high-quality olive oil. 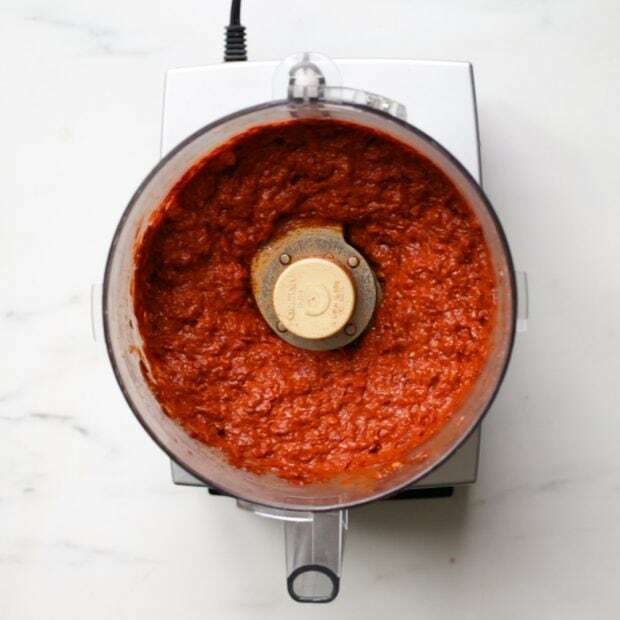 Homemade Harissa Paste is amazing in pretty much everything. I actually started keeping a jar on hand at all times, a spoonful certain to liven up any ol’ dish, taking a boring Tuesday dinner to level ten in seconds. Harissa is way more flavorful when homemade! 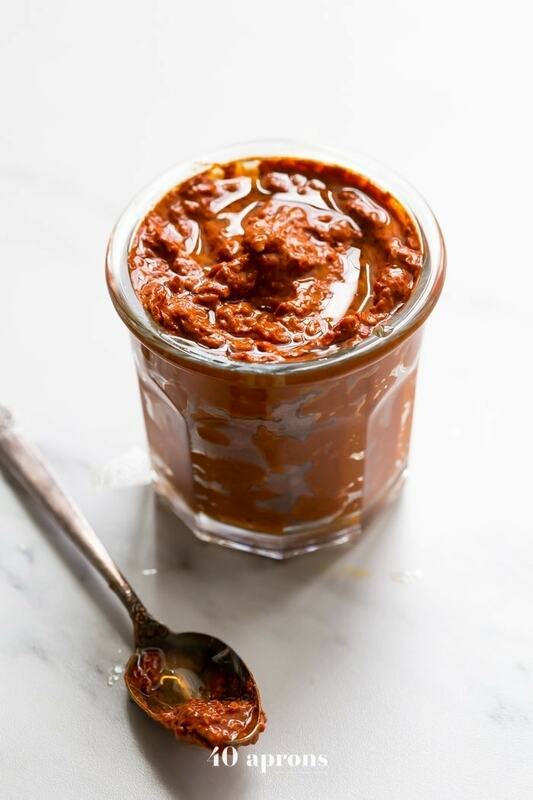 While you can buy Harissa in tubes, cans or jars at pretty much every grocery store these days, I do urge you to learn how to make Harissa at home. 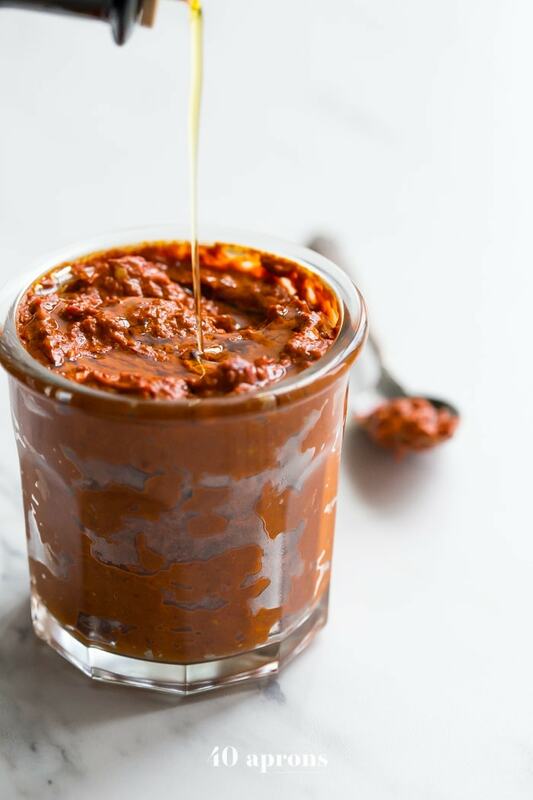 Making Harissa is really easy and fun and once you’ve started to jazz up all of your favorite foods with it, you will find yourself whipping up a new batch almost every other week! It’s THAT good! 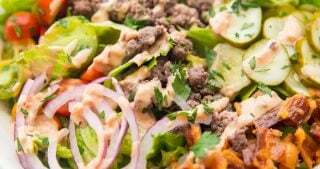 It was the trip I took with my mom last spring that really did me in, really formalized my obsession with North African and Middle Eastern foods. To celebrate a couple milestone birthdays, my mom booked us a trip on a Viking River Cruise throughout Germany, Austria, and Hungary. We found ourselves on a walking tour through the Viennese farmer’s market with the ship’s chef, learning about the local produce and fare, noticing we were, at the same time, surrounded by the stalls brimming with spices, oils, and sweets from so many other cultures. A spice stall, in particular, grabbed hold of me, and I held up the entire group to pore through the thousands of bags of North African spice mixes, inspiring half the group to pick up a few bags of the stuff, too. From ras el hanout to dukkah, baharat to za’atar, I stocked up on the stuffed little sacks of spices, finally coming across worthy gifts for the family I’d left behind. The headiness of the stall, the excitement to integrate these new flavors into our cooking at home that I felt, it all filled me with the inspiration to branch out, to reach beyond the palate we typically play within. 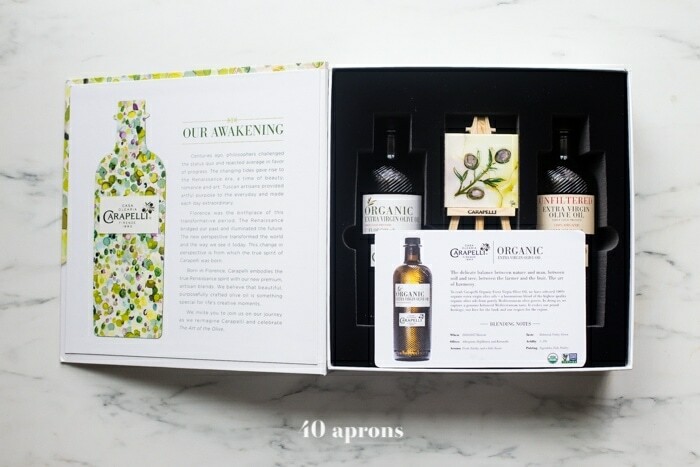 I chose Carapelli® Unfiltered Organic Extra Virgin Olive Oil that I found at Target, because I needed a rich olive oil with peppery and spicy notes that could stand up to the peppery and spicy flavors of the chiles and roasted pepper. 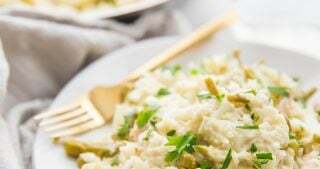 This particular olive oil gives the entire dish a richness that I just love, and it’s important to prioritize your olive here! Of course, it’s organic, too, making it fresher and even healthier. All the heart eyes. 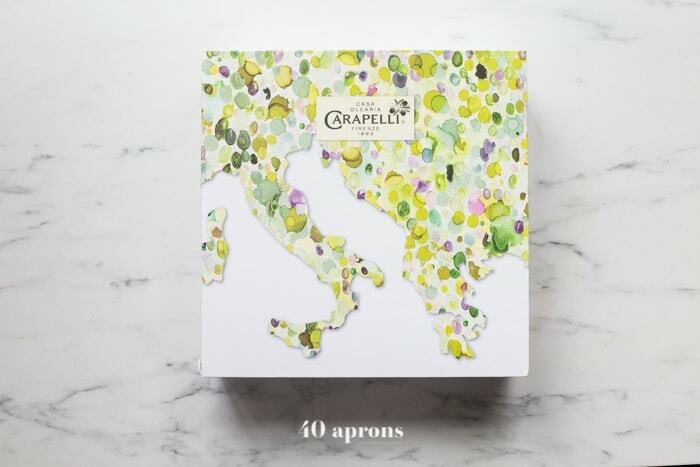 Y’all already know well my obsession with Target and Cartwheel, so I love that there’s a 10% off on Cartwheel offer for Carapelli® Extra Virgin Olive Oil 9/24-10/21 . Make sure you take advantage of that slick deal! 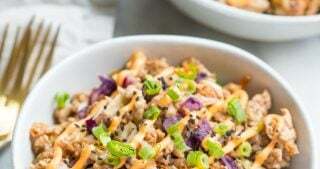 You can click here to add the deal to your app. Take your time when roasting the red bell pepper. This is where we create a lot of the sweetness and smokiness we love about our homemade harissa. If you have a gas stove, roast the bell pepper over the flame, rotating it often, until most of the skin is black and burnt. Otherwise, follow my instruction for broiling them. 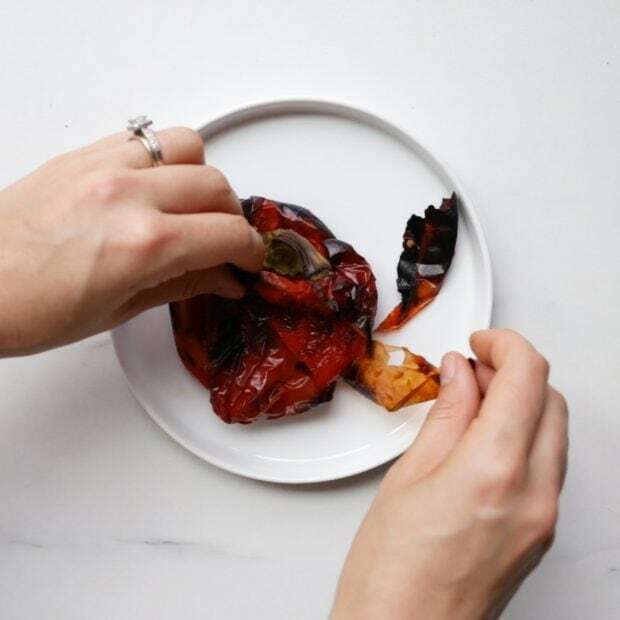 To allow for easier peeling, cover the roasted red bell pepper with some aluminum foil, then let it cool down. For moderately spicy harissa, try a mix of Guajillo and New Mexico chiles. 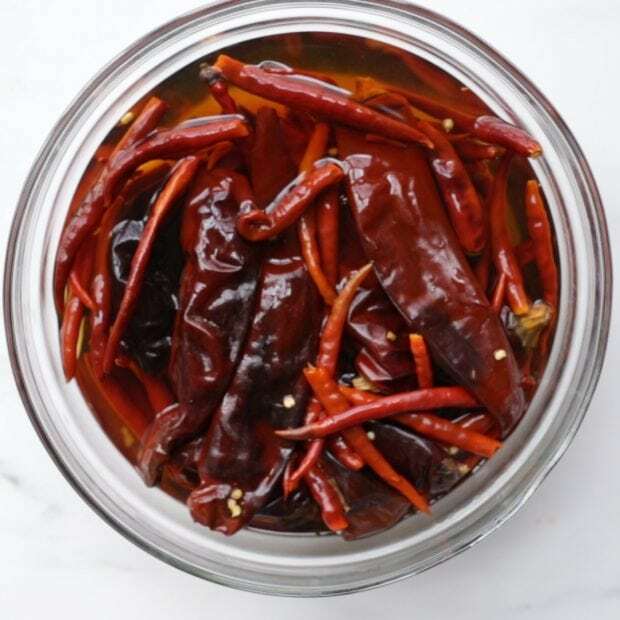 If you like it spicy, add some heat with Arbol or Puya chiles. 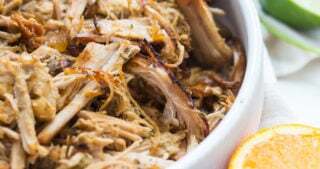 More smokiness can be achieved by adding in some Chipotle or Morita chiles. Ancho, Mulato, or Pasilla chiles make for a richer harissa. 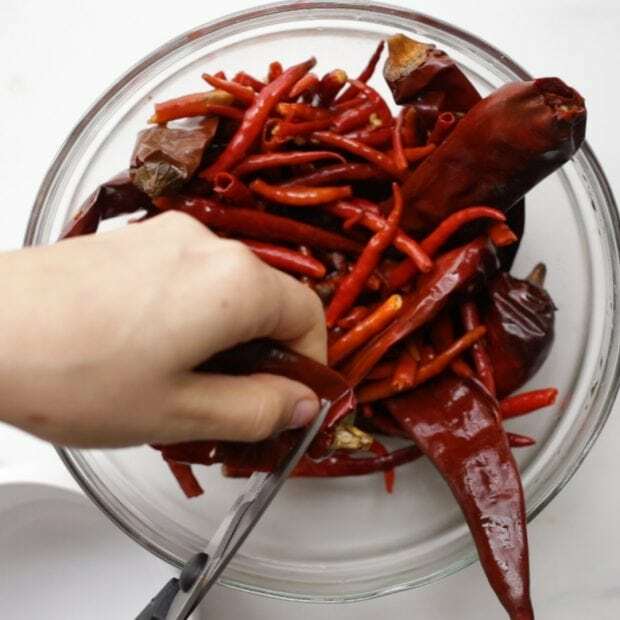 It’s fun to experiment with different kinds of chilies. Depending on the chili you choose, your batch of homemade harissa might turn out super spicy, sweet, smoky, earthy, or fruity. Feel free to add a squeeze of lemon, or freshen things up with some traditional Moroccan herbs like mint. For a very mild harissa, substitute more roasted red bell peppers for part of the chilies. 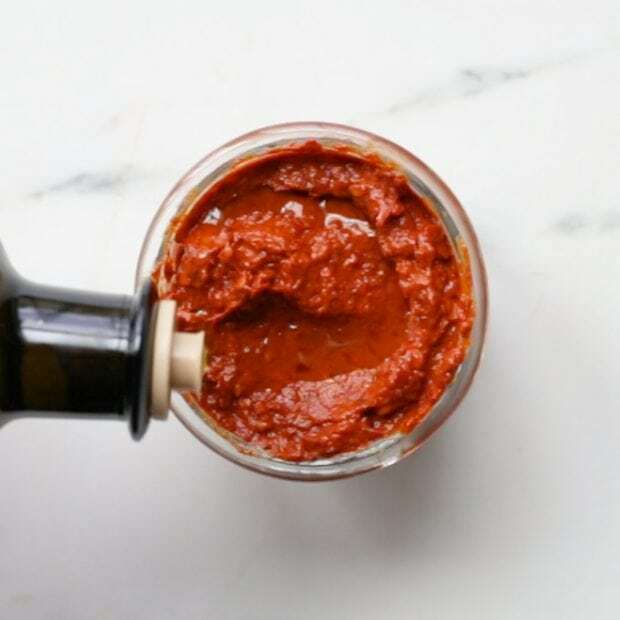 The most obvious use for Harissa are traditional Tunisian and Moroccan dishes, but you can go crazy and spread it on your pizza, hot wings, sandwiches, and more. It’s like ketchup that way, just, well, good for you. 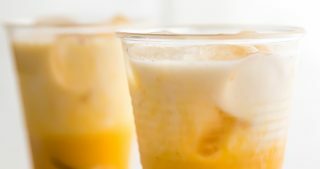 I love drizzling it onto roasted vegetables, scrambled eggs, baked potatoes or adding a teaspoon to creamy salad dressing, dips or hummus. How long does Harissa keep in the fridge? 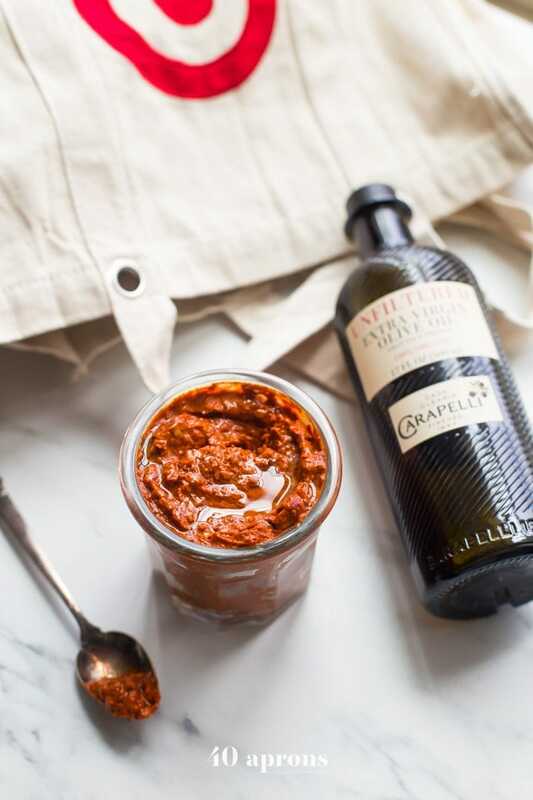 A jar of homemade harissa paste will keep in the fridge for at least a month. Trust me, though, once you get used to adding it to everything, I doubt you’ll have it for that long. It’s addictive! Now that you’ve got your goods, let’s learn how to make harissa, shall we? Here’s the how to make harissa play-by-play. Oh, and make sure you check out my video on how to make harissa, too! Pour boiling water over 4 ounces of dried chiles. I use a mix of guajillo and arbol chiles, because I had them on hand from making my smoky guajillo salsa. Soak for 30 minutes or until softened. Once chiles are softened, drain. Cut off stems and deseed as much as you can. I worried more about my guajillo seeds since they were easier to get out. #pickyourbattles? Roast a fresh red bell pepper. 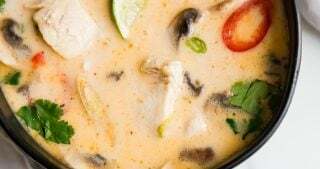 Preheat your broiler and place pepper under a broiler until blackened in all spots, turning carefully with tongs regularly. Ensure that the insides are very soft, not just that the outside is dark. 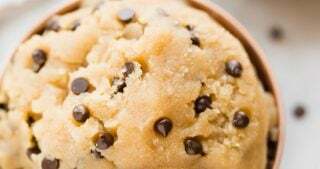 If necessary to totally soften, bake at 350º after blackening until soft. Remove from oven and let cool, then peel the skin off and discard. Toast your spices. 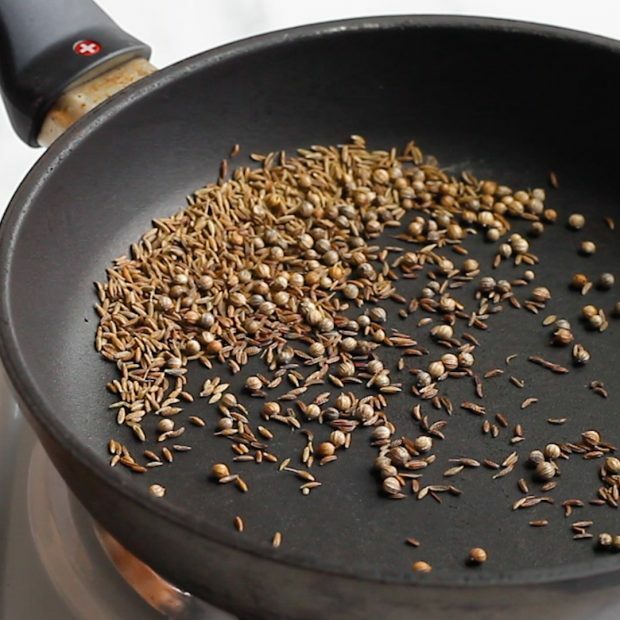 Heat a dry skillet over low heat and add spices, shaking skillet regularly to prevent burning of spices. Toast until surfaces of spices are a richer brown and beginning to smell fragrant. 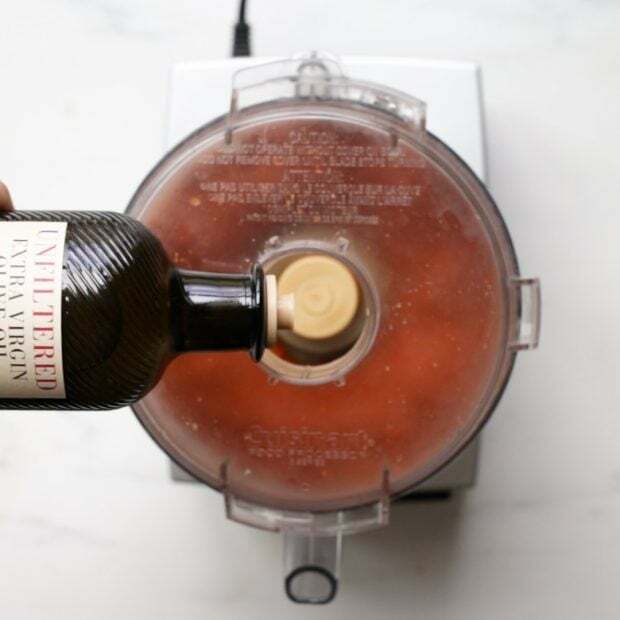 Transfer toasted spices to spice grinder and grind until a fine powder. 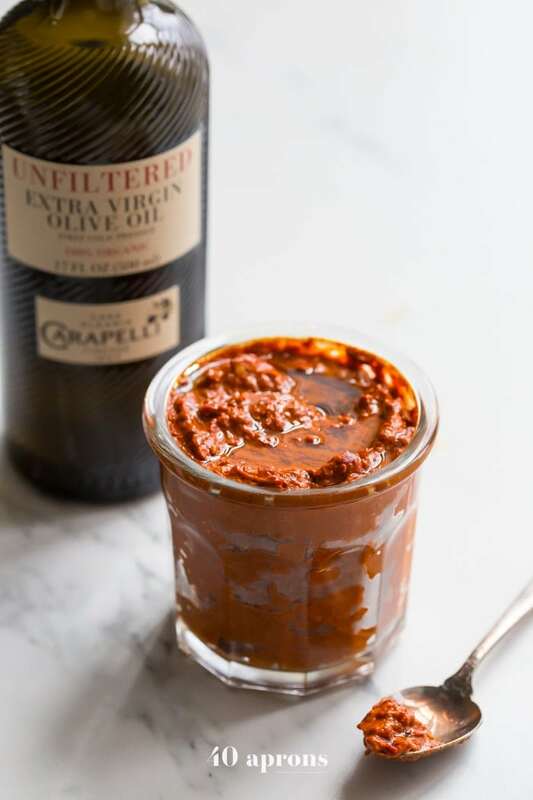 Combine chiles, red pepper, spices, fresh garlic, salt, and Carapelli® Unfiltered Organic Extra Virgin Olive Oil in the bowl of a food processor. 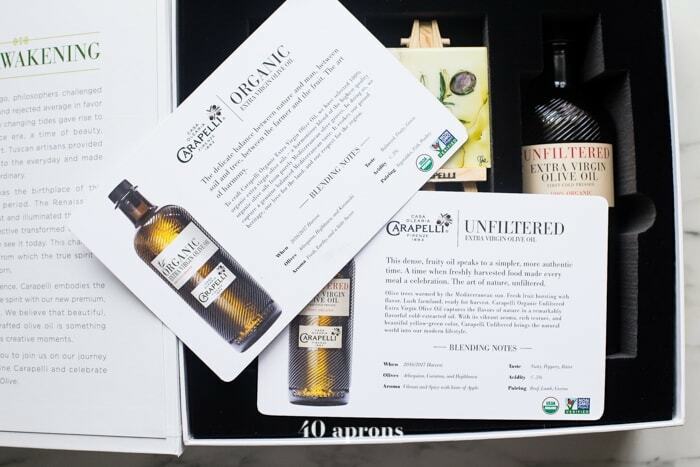 Add more Carapelli® Organic Unfiltered Extra Virgin Olive Oil during processing to smooth to desired texture. Transfer to a glass jar. Cover surface with olive oil to store. Pour boiling water over 4 ounces of dried chiles. I use a mix of guajillo and arbol chiles. Soak for 30 minutes or until softened. Once chiles are softened, drain. Cut off stems and deseed as much as you can. Roast a fresh red bell pepper. Preheat your broiler and place pepper under broiler until blackened in all spots, turning carefully with tongs regularly. Ensure that the insides are very soft, not just that the outside is dark. 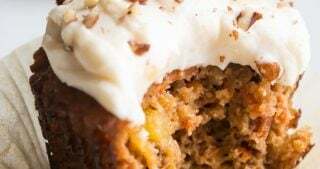 If necessary to totally soften, bake at 350º after blackening until soft. Remove from oven and let cool, then peel skin off and discard. Toast your spices. Heat a dry skillet over low heat and add spices, shaking skillet regularly to prevent burning of spices. Toast until surfaces of spices are a richer brown and beginning to smell fragrant. 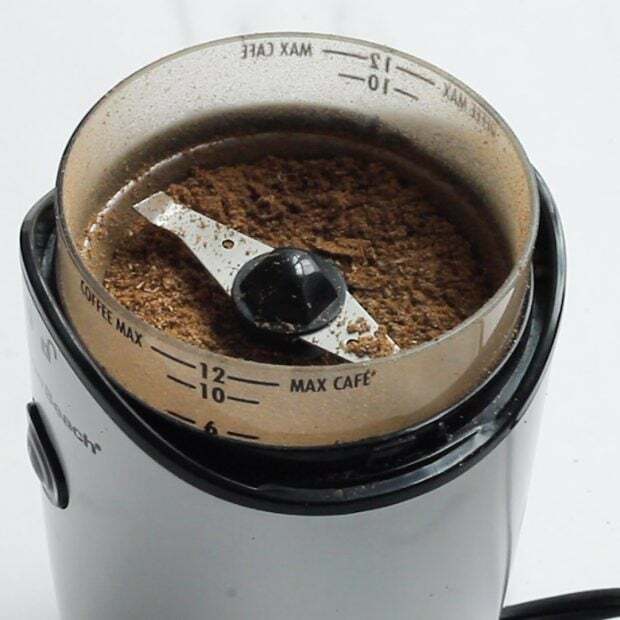 Transfer toasted spices to spice grinder and grind until a fine powder. 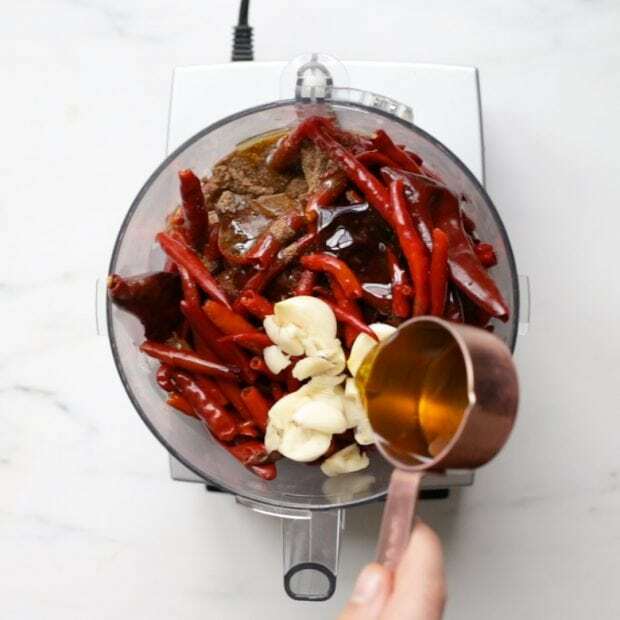 Combine chiles, red pepper, spices, fresh garlic, salt, and Carapelli® Unfiltered Organic Extra Virgin Olive Oil in the bowl of a food processor. Blend until very smooth. 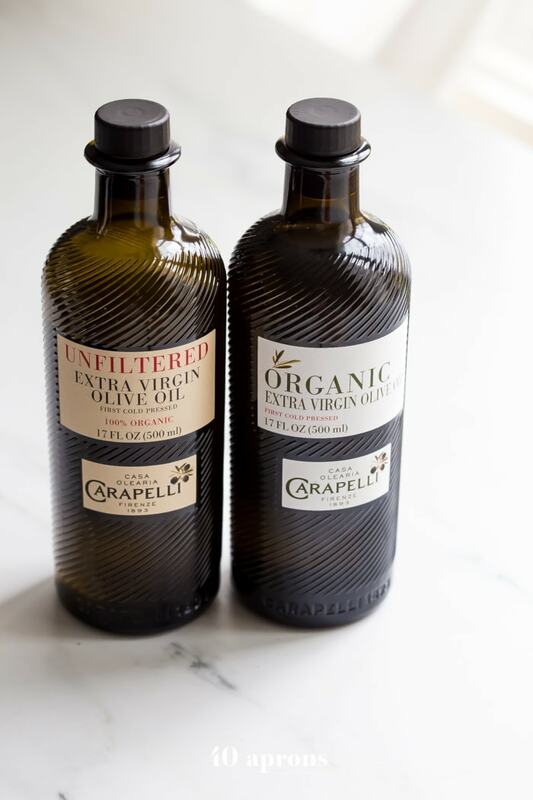 Add more Carapelli® Organic Unfiltered Extra Virgin Olive Oil during processing to smooth to desired texture. Transfer to a glass jar. Cover surface with olive oil to store. Ohhh I love harissa but usually use store-bought. I’ll have to give this a try.